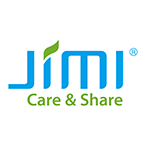 Jimi Electronic™ is a designer and manufacturer of telematics and wireless communication products as well as smart home designs. The company was founded in 1999 and is headquartered in Shenzhen. In the past years, Concox & Jimi has been cooperated with a wide range of clients (China Mobile, China Telecom, China Unicom, etc.) on some challenging projects. The products manufactured by Concox & Jimi have been sold to more than 150 countries and regions across the world. The chart below shows the changes within the last 30 days in the number units of Jimi Electronic devices type are connected to Wialon Data Center.